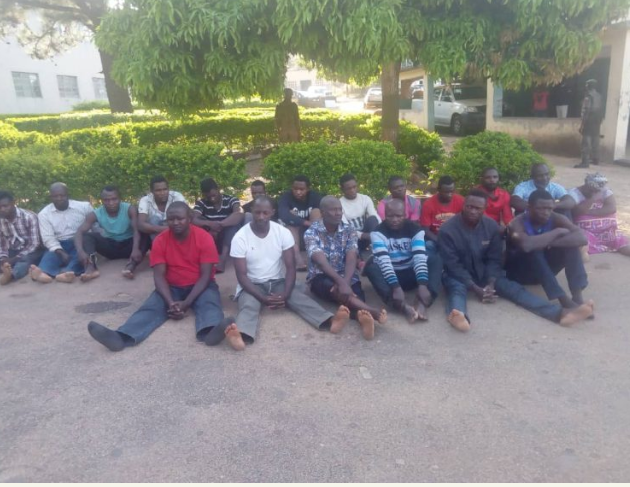 The Nigerian Police force has paraded 19 suspects allegedly involved in the brutal murder of a retired military general, Idris Alkali in Plateau State. The Plateau state police command paraded the criminals before journalists in Jos, the state capital. Terna Tyopev, the PPRO in plateau briefed newsmen on the circumstances surrounding their arrest. It will be recalled that late General Alkali was declared missing on September 3 after he had left Abuja for Bauchi via Jos but was never heard from again. His remains were found in an abandoned well in Gushwet, Shen community, Jos South on October 31st. He has since been buried according to Muslim rites.